1. 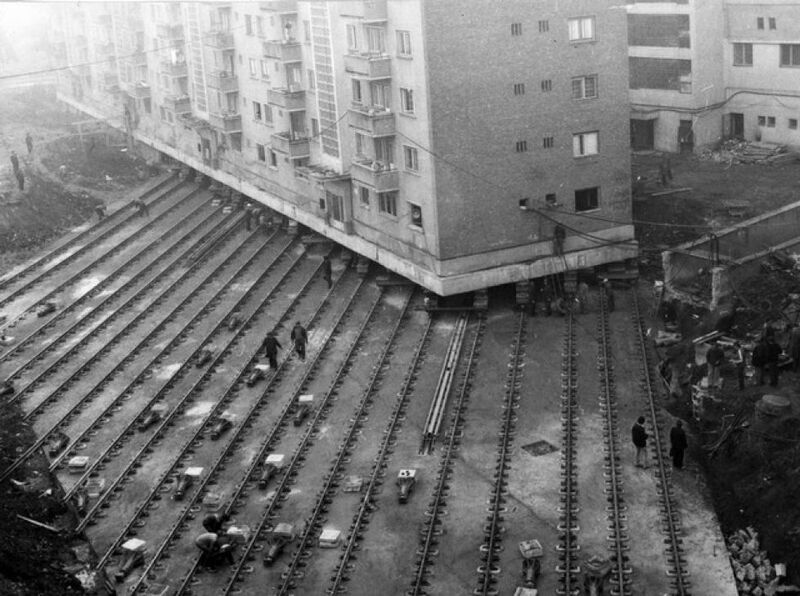 Moving a 7,600 ton apartment building to create a boulevard in Alba Iulia, Romania, 1987. 2. 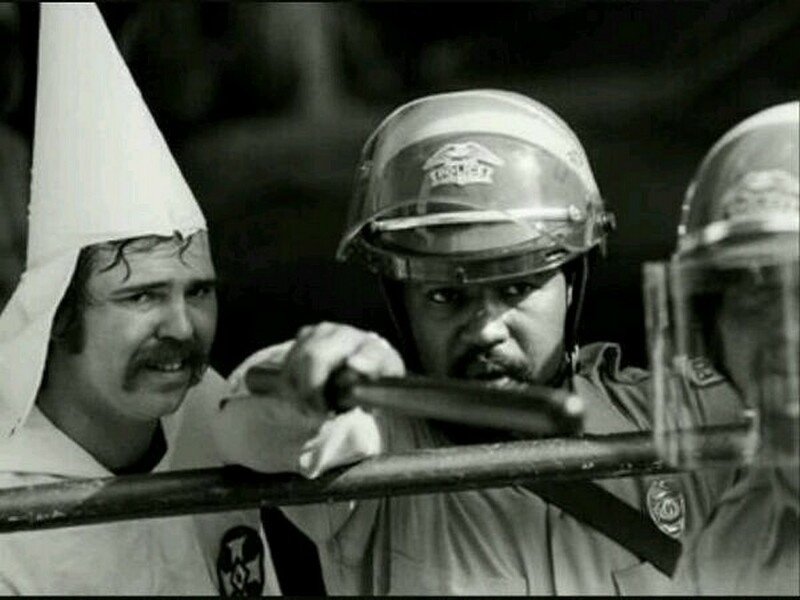 A black officer protecting KKK member from protesters, 1983. 3. 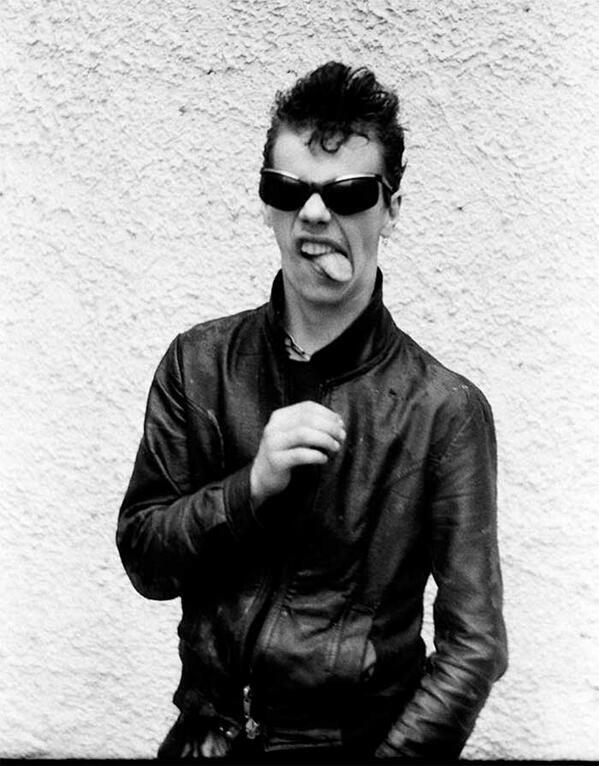 Russian Prime Minister Dmitry Medvedev as a young gentleman, 1986. 4. 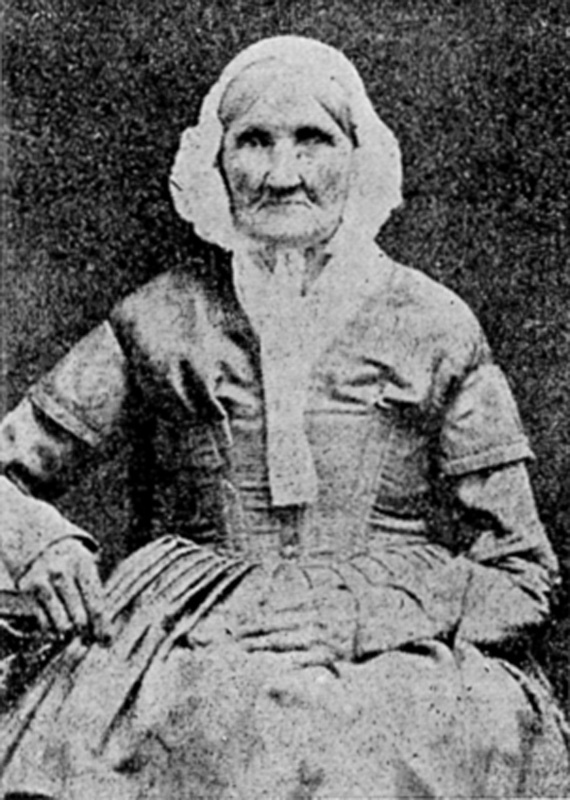 Hannah Stilley, born 1746, photographed in 1840. Probably the earliest born individual captured on film. 5. 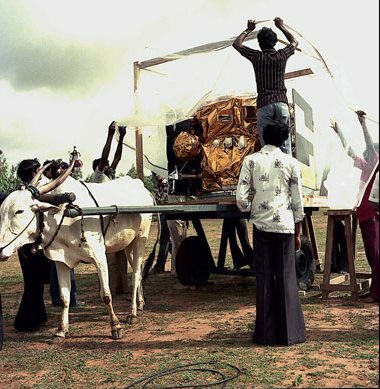 Transporting ‘The Apple’, the first Indian satellite, 1981. 5. 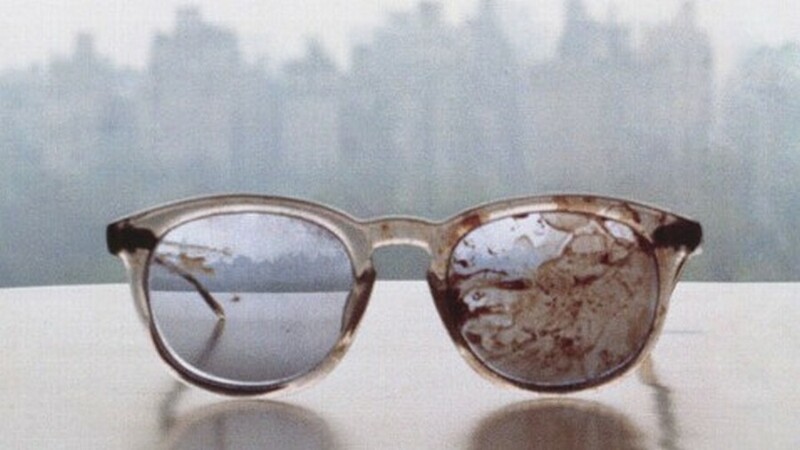 The glasses John Lennon wore when he was assassinated, 1980. 6. 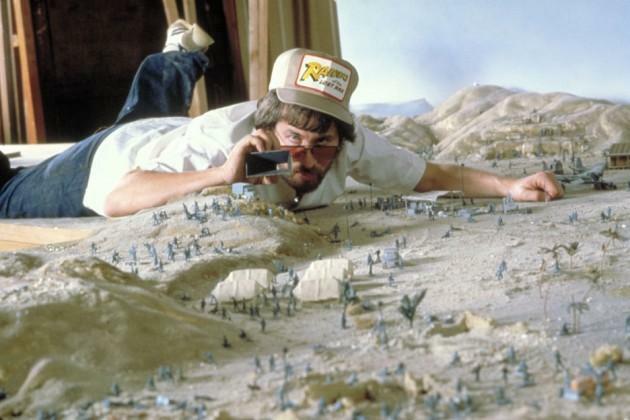 Spielberg doing the first Indiana Jones movie in 1980. 7. 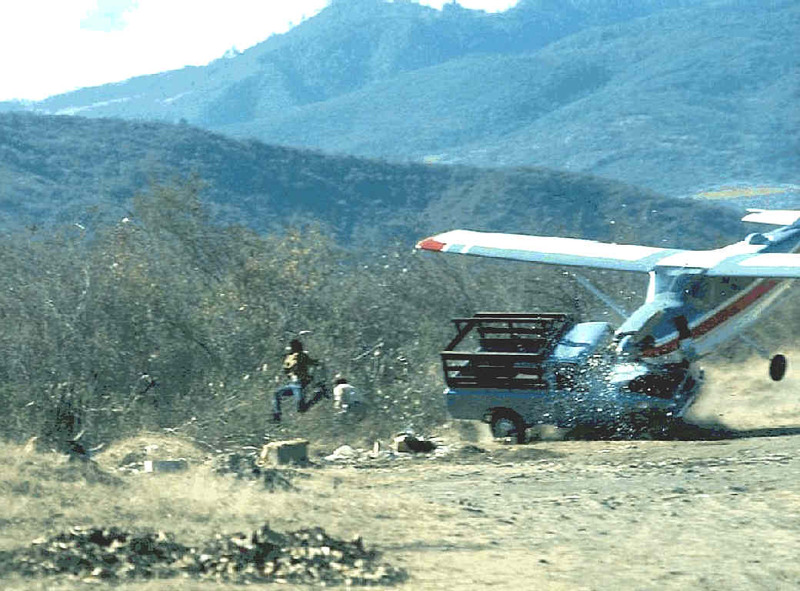 Due to strong crosswinds, a landing plane crashes with a truck standing near the runway, 1976. 8. 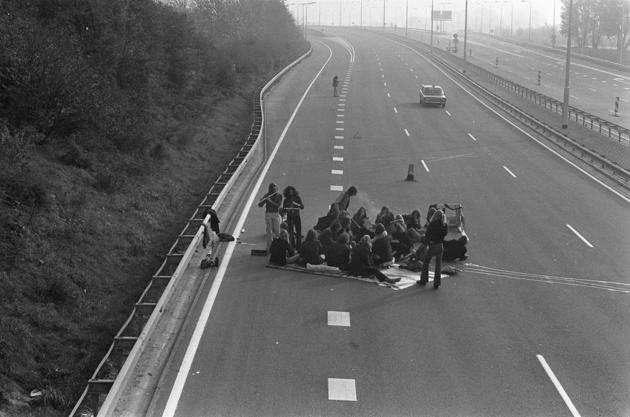 Highway picnic during the Oil Crisis, 1973. 9. A foreskin away from death. 10. A stripper visits the trading floor of the Toronto Stock Exchange, late 1970. 11. 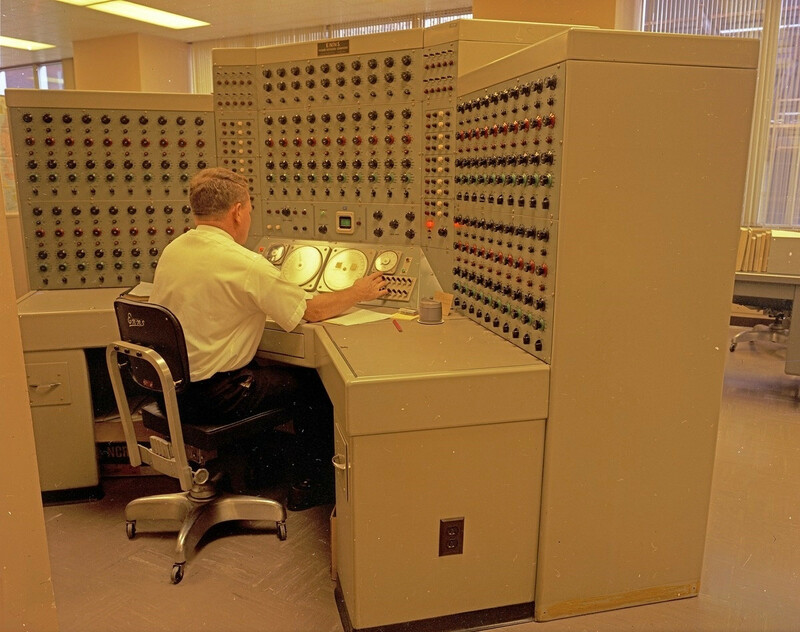 Man working at analog computer, 1968. 12. 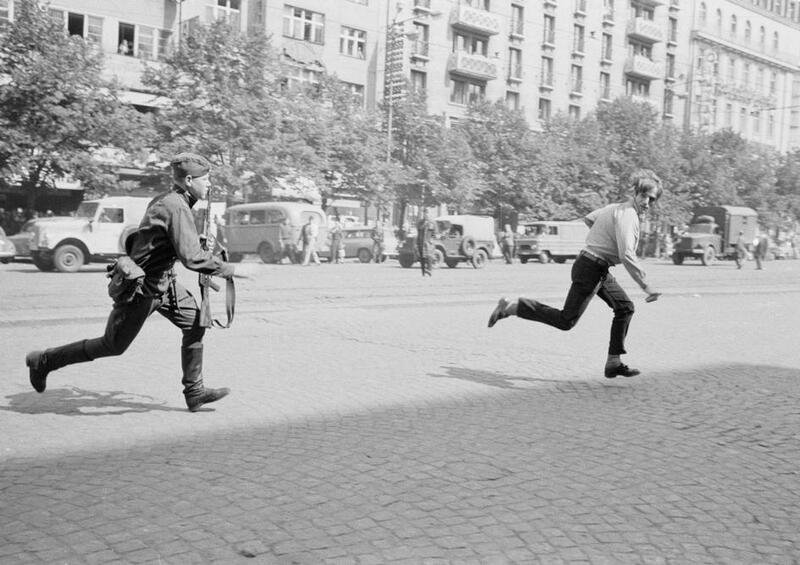 The Prague Spring of 1968: Soviet soldier chasing young man who had thrown stones at a tank. 13. 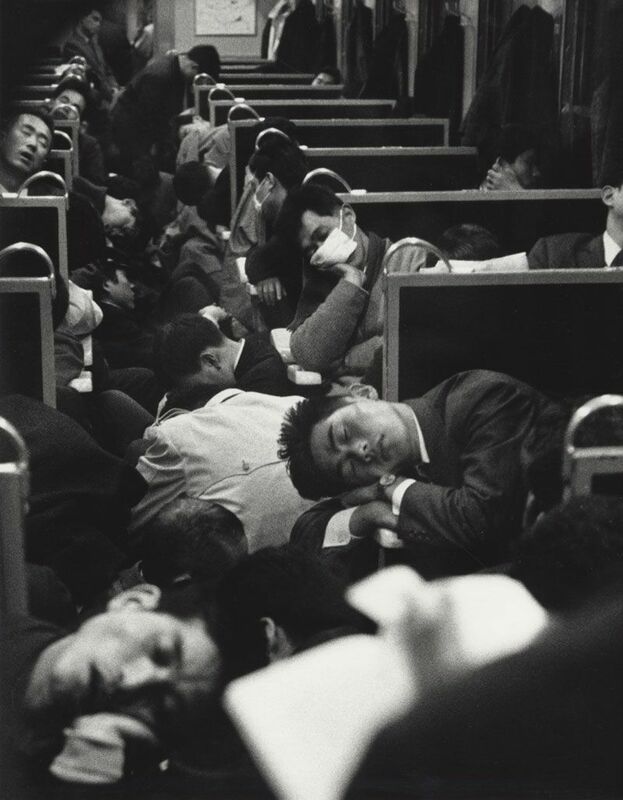 Early morning train, Japan, 1964. 14. 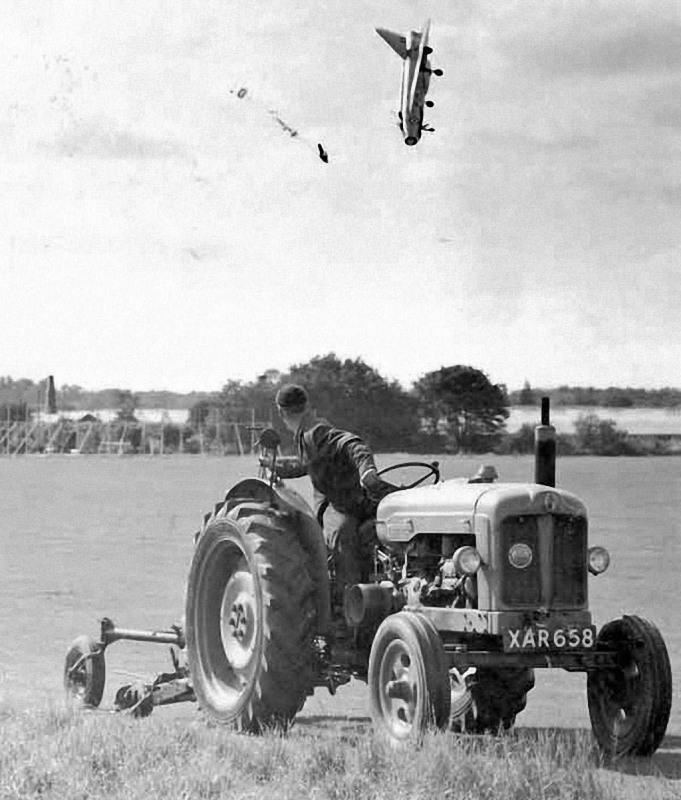 Test pilot George Aird – flying an English Electric Lightning F1. 15. 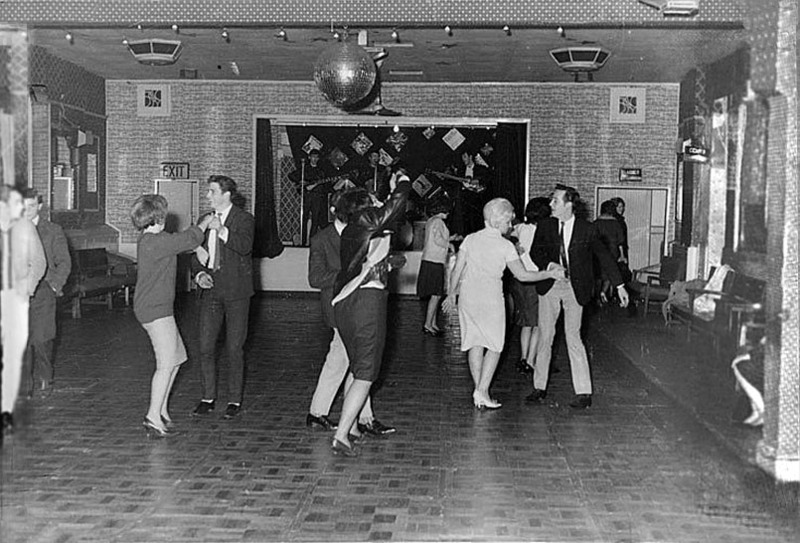 The Beatles play for 18 people in the Aldershot club, December 1961. They were to become superstars in one and a half years time. 16. 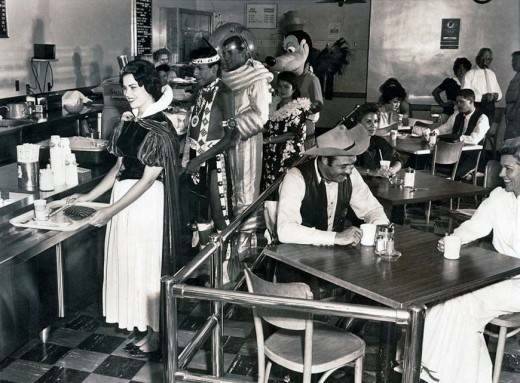 Canteen for Disney workers, 1961. 17. 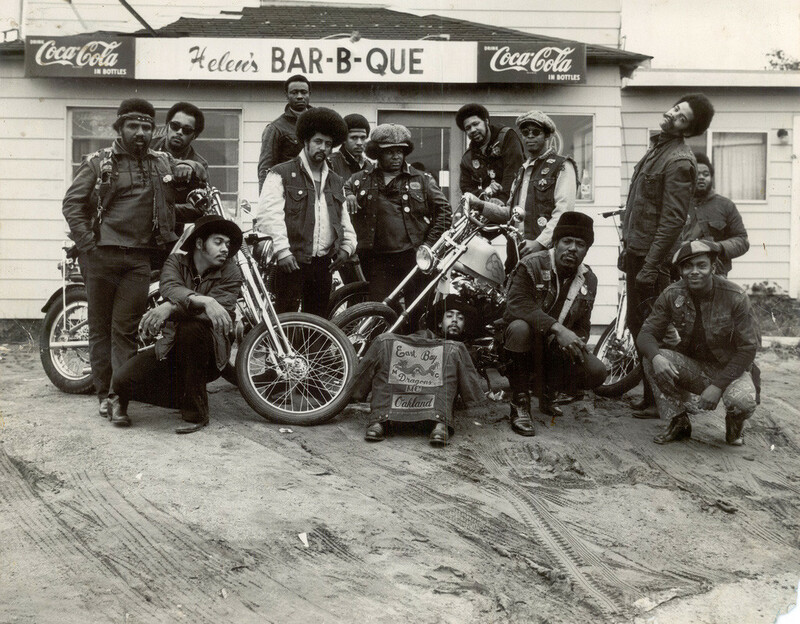 The East Bay Dragons, the first black bikers’ club, Oakland, California, 1960s. 18. 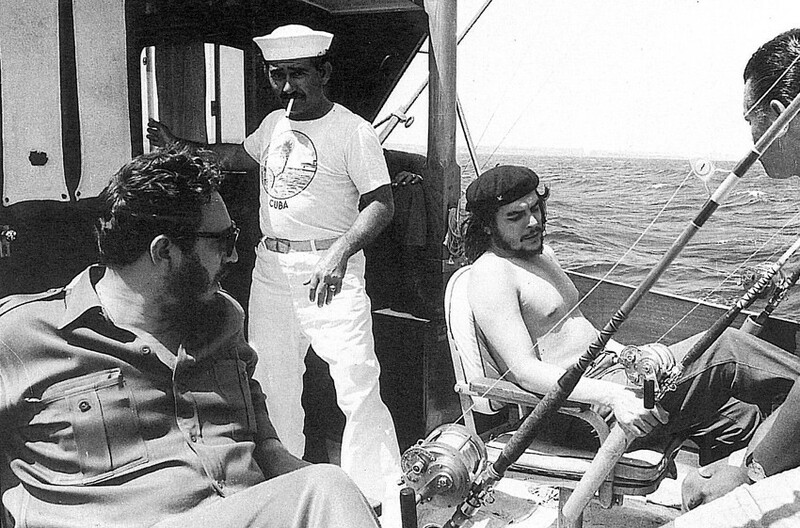 Che Guevara and Fidel Castro fishing, 1960. 19. 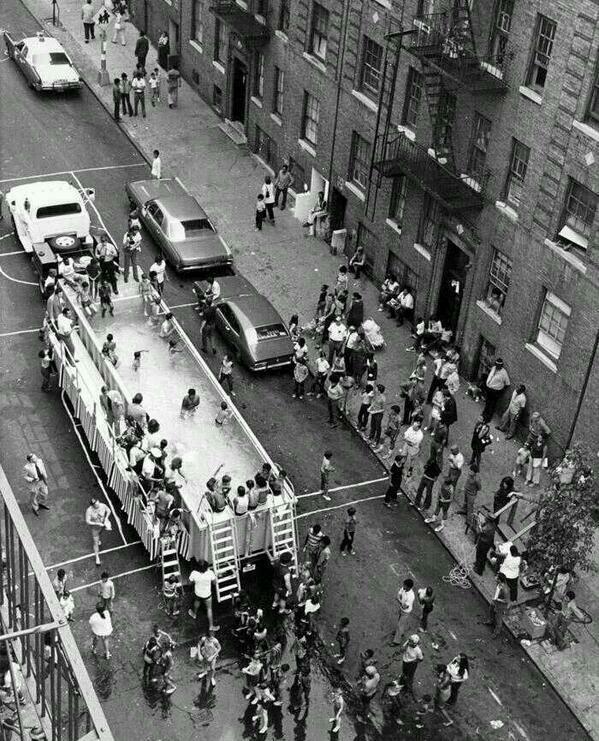 A swimmobile in New York City, 1960. 20. 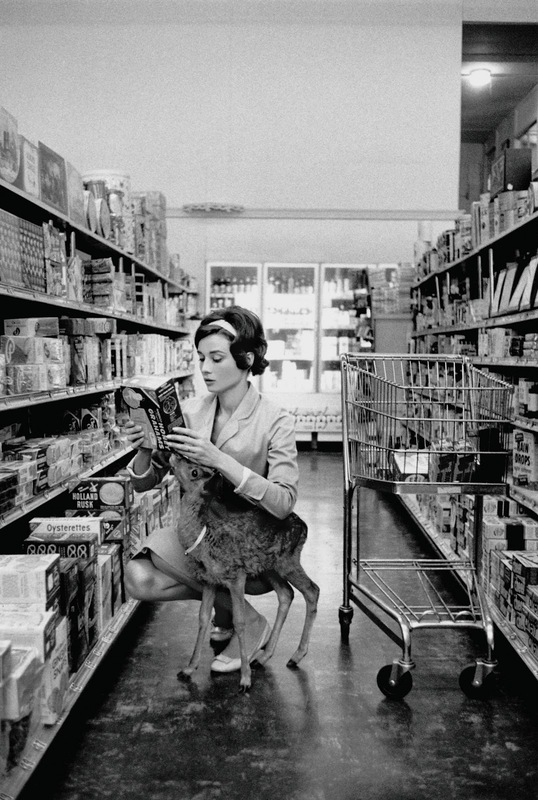 Audrey Hepburn shopping with her pet deer “Ip” in Beverly Hills, CA, 1958. 21. 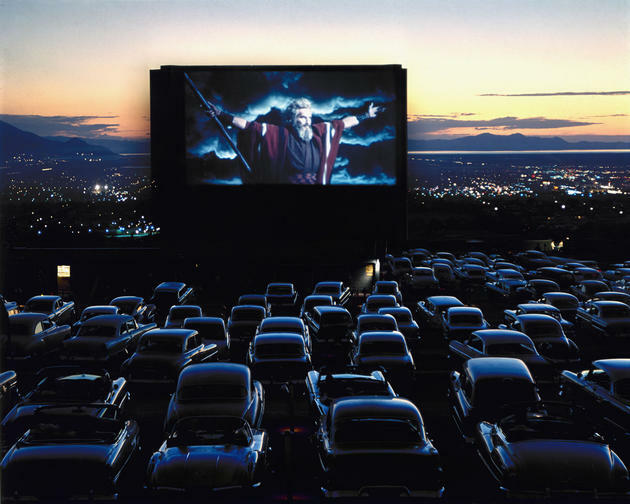 Charlton Heston as Moses in “The Ten Commandments,” drive-in theater, Utah, 1958. 22. 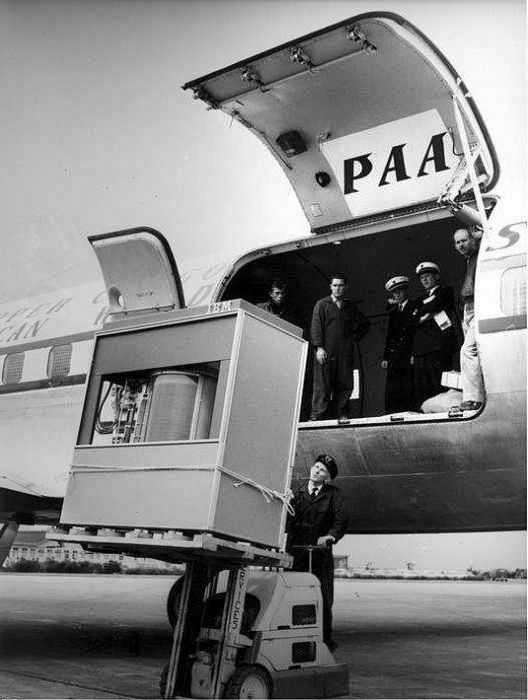 Uploading the first 5 MByte hard disk to a PanAm plane, 1956. 23. 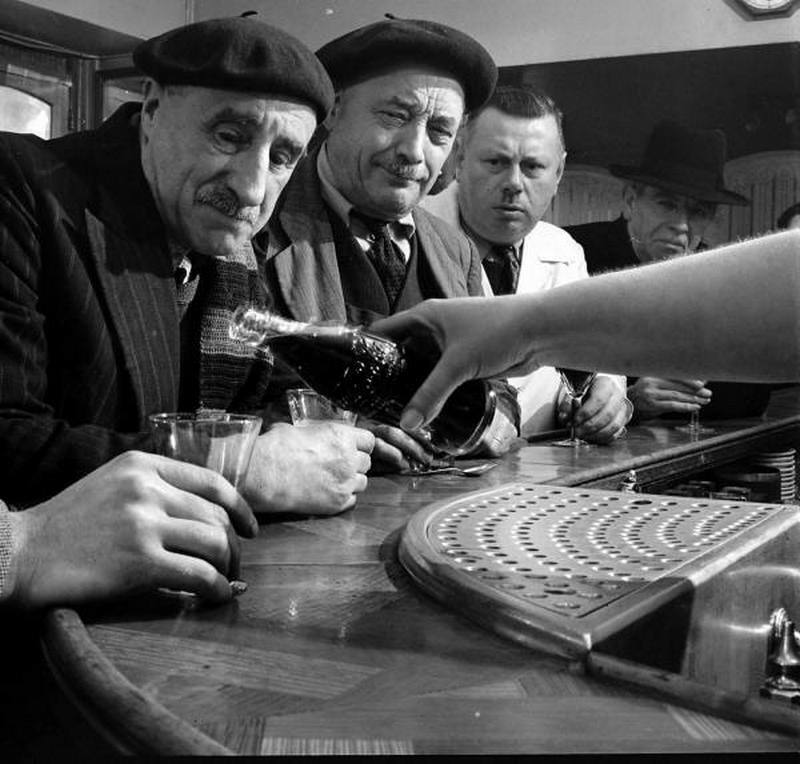 Coca Cola is introduced in France, 1950. 24. 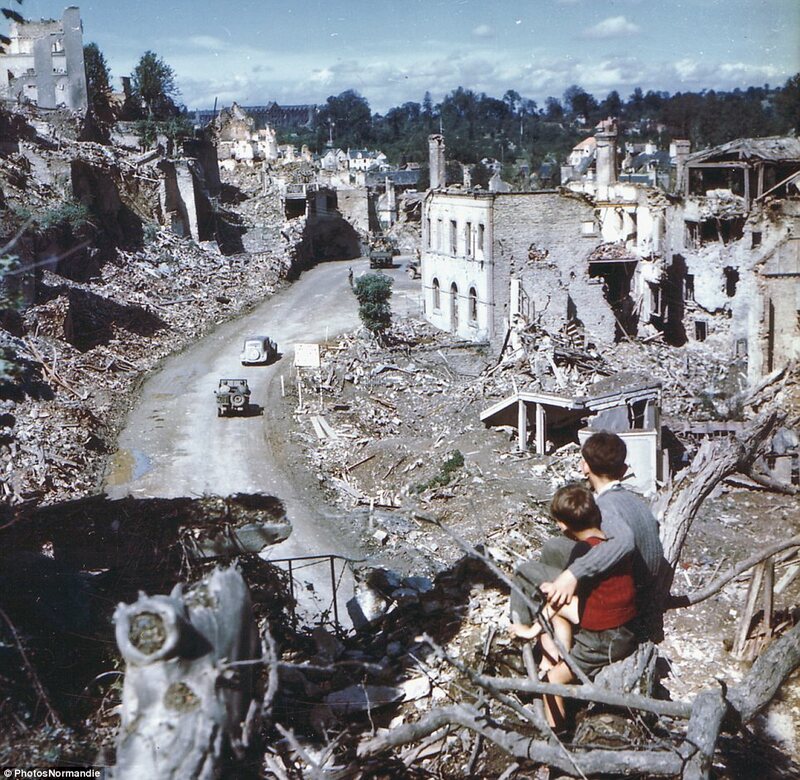 In the aftermath of the D-Day invasion, two boys watch from a tree as American soldiers drive through the town of St. Lo. France. 25. 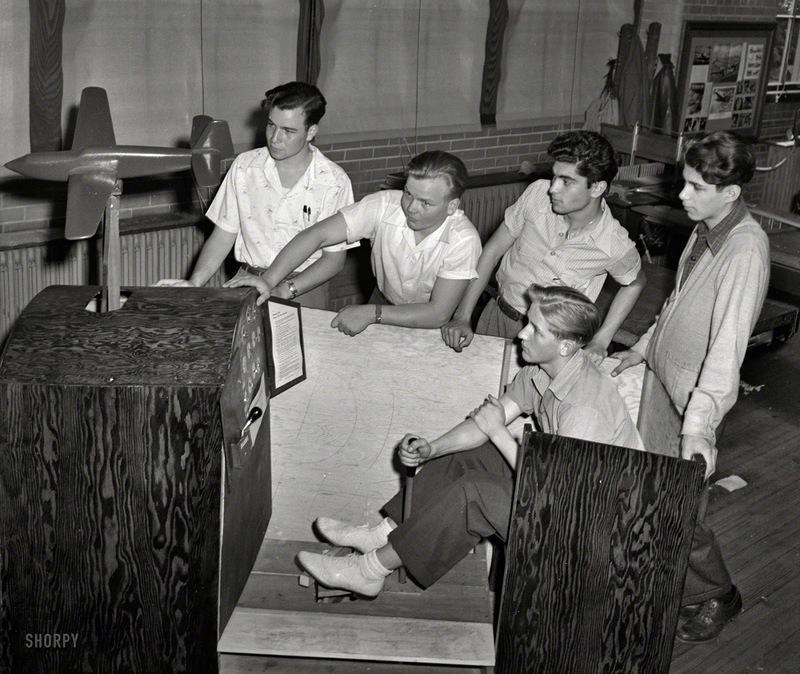 A flight simulator in 1942. 26. 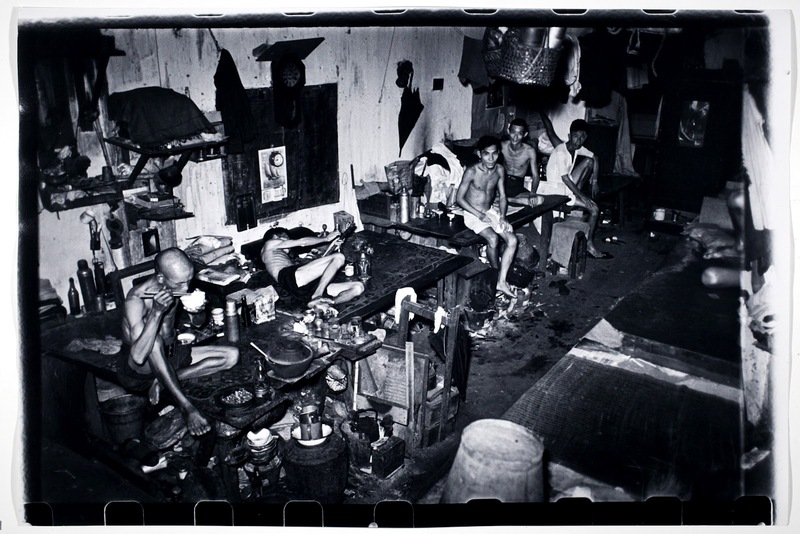 An opium den in Singapore, 1941. 27. 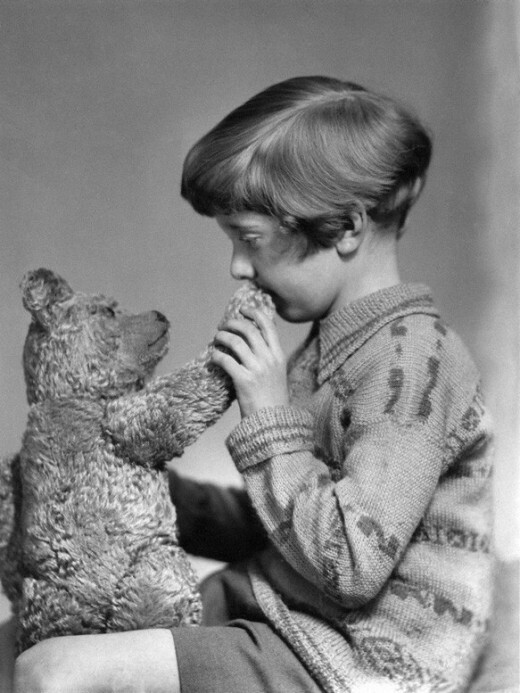 The real Winnie the Pooh and Christopher Robin, 1928. 28. 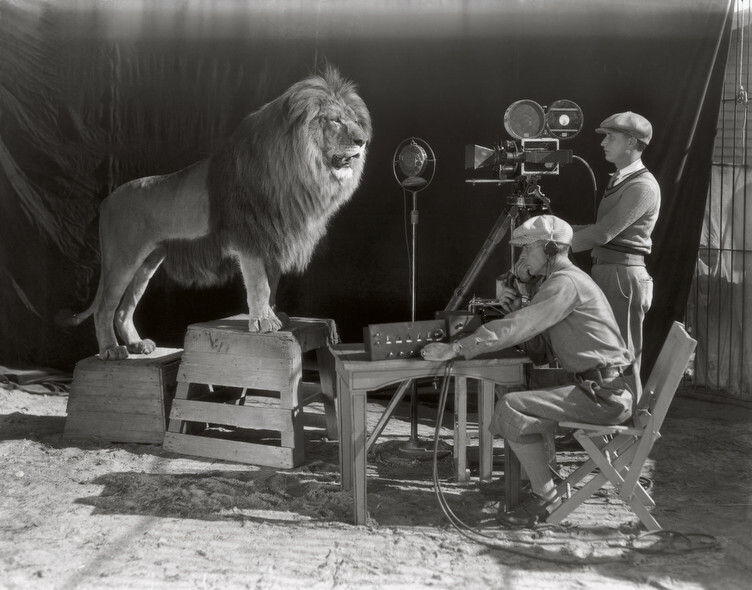 Filming of the MGM screen credits – The beginning of the Hollywood era, 1928. 29. A gang of skinny dippers is chased down the street at Hyde Park by a police woman, 1926. 30. 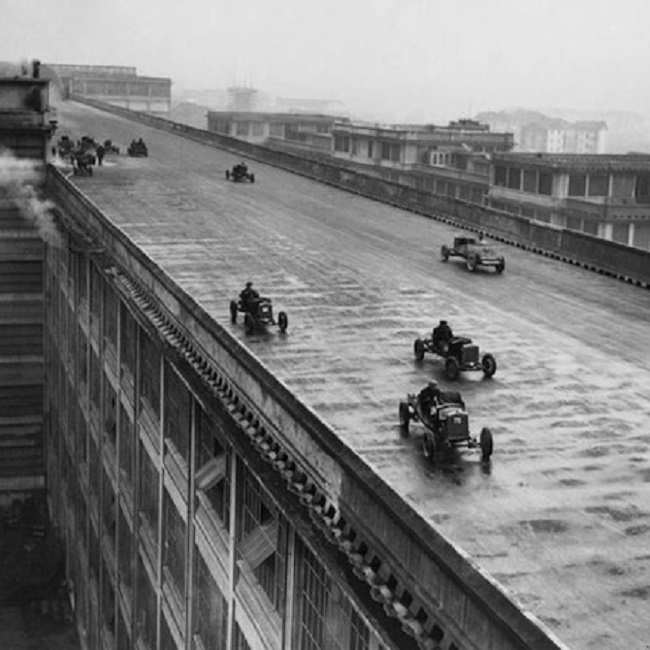 Factory workers race on the roof (test track) of the Fiat Factory in Turin, Italy, 1923. 31. 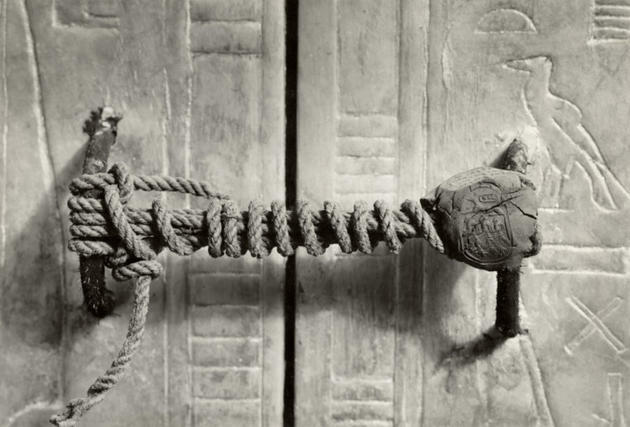 The unbroken seal on Tutankhamun’s tomb, 1922 (3,245 years untouched). 32. 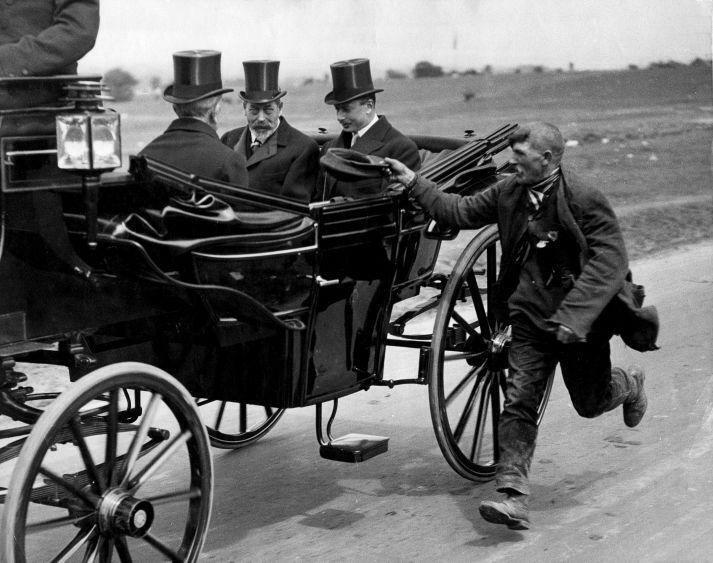 A beggar running alongside King George V’s coach, 1920. 33. 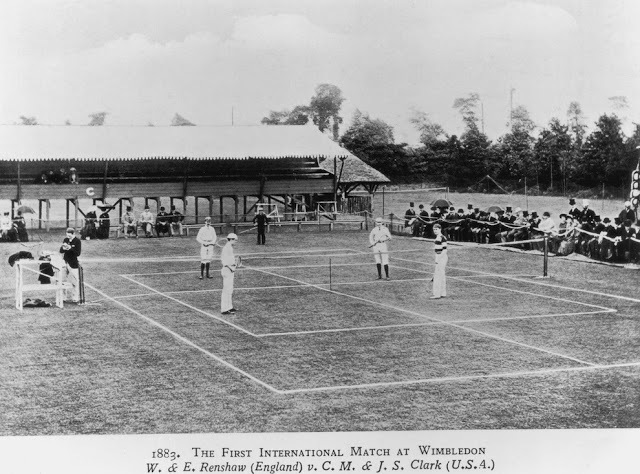 The first international match at Wimbledon, 1883. 34. 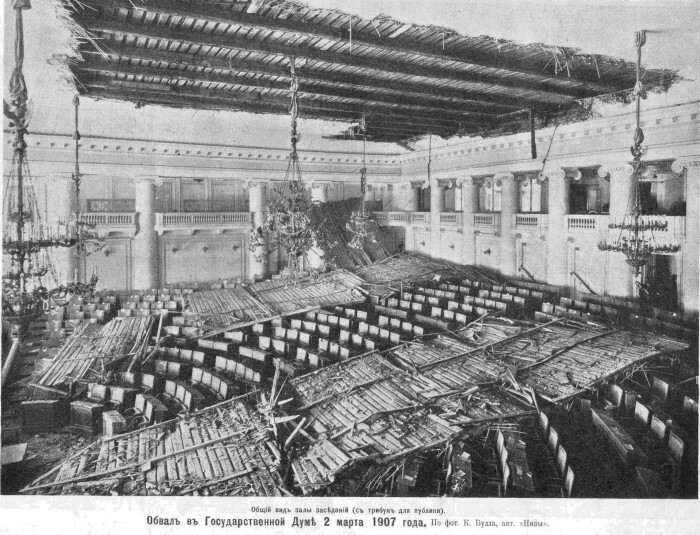 The ceiling of the Russian Parliament collapsed, 1907. 35. 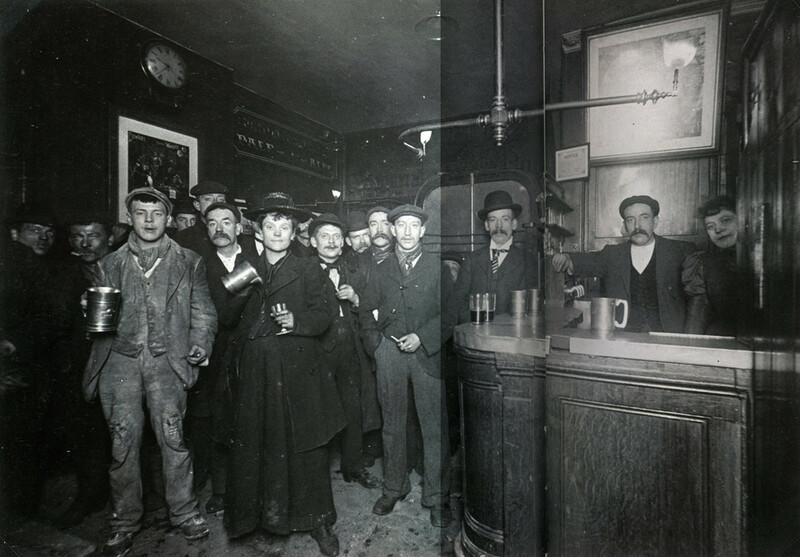 Interior of a London Pub, 1898. 36. 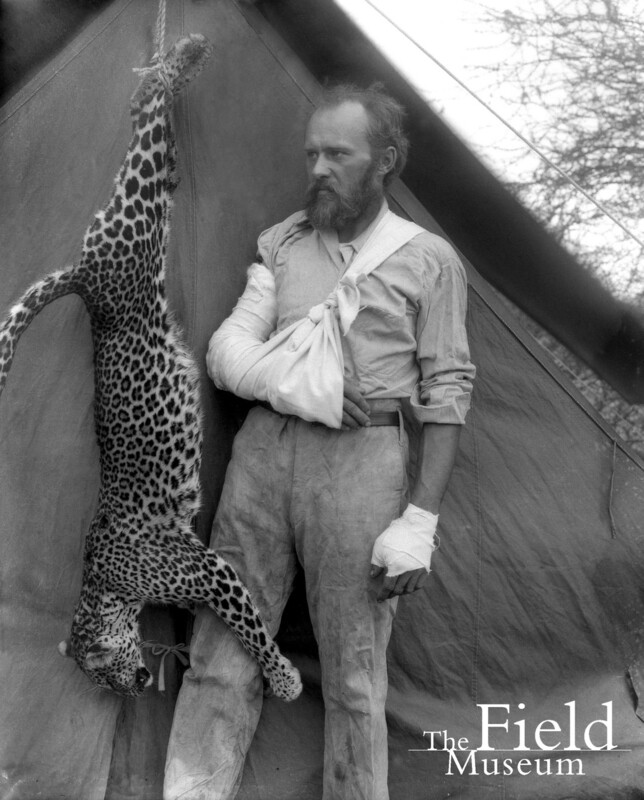 Carl Akeley posed with the leopard he killed with his bare hands after it attacked him, 1896. 37. 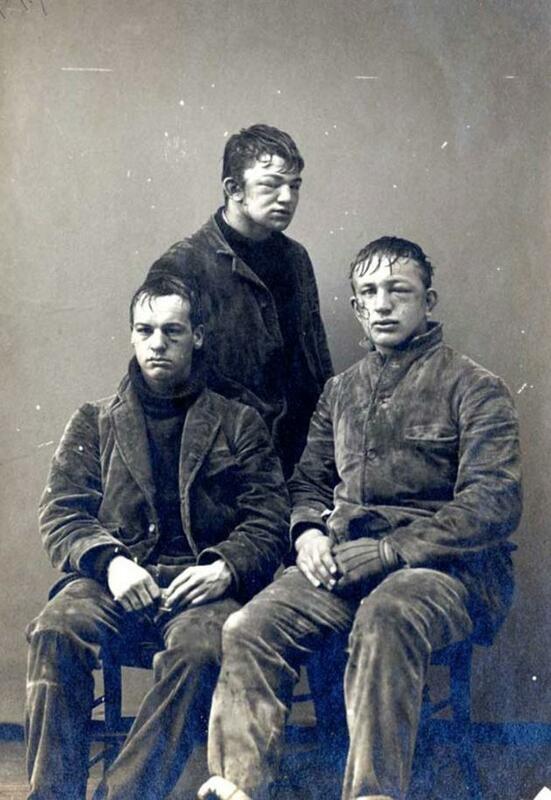 Princeton students after a snowball fight, 1893. 2 responses to "37 Rare Photos From The Past You’ve Never Seen Before"
Useful websites: download videos from everywhere instagram video downloader. Free online games happy wheels.